In May 2016, Copeland Chevrolet broke ground on a new location at 955 Pearl Street planned for a 29,000-square-foot dealership. 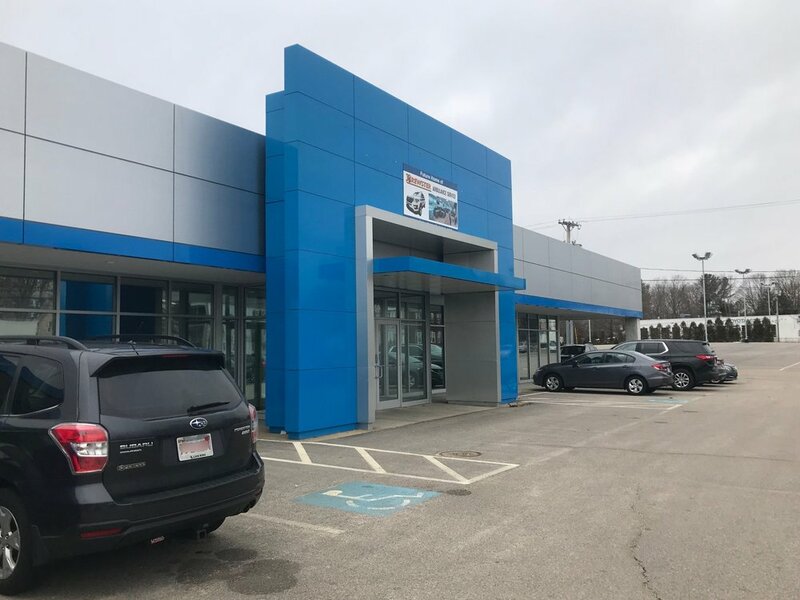 The location for their dealership up until the move to Pearl Street was at 1555 Main Street in the Campello neighborhood of Brockton. The Main Street dealership had been owned by Dan DeSantis, who prior to Copeland Chevrolet, operated the then-named DeSantis Chevrolet dealership since 1990. 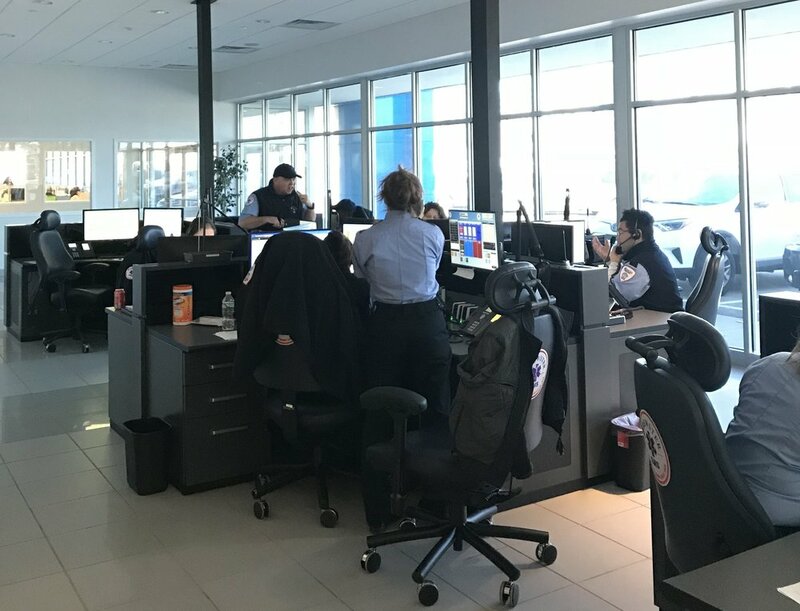 This afforded a unique opportunity for Brewster Ambulance to expand its presence in Brockton, by acquiring the property as a new base of operations. The building was retrofitted to accommodate the needs of the expanded operation, and acts as a regional headquarters based right in the heart of Brockton. Much of the spacing was already in good condition and worked well for the planned use of the space, so construction and improvements were kept at a relative minimum. This enabled Brewster Ambulance to not only save on construction costs, but also to shorten the time needed to occupy the building. As you enter the main entrance you enter into a foyer. A receptionist will greet visitors and offer direction or assistance. To the left of the foyer and entrance is a security door which will allow you to enter into the Brockton Dispatch Communications Center. This Communications Center has ten positions: three dispatch, six call-taking, and one supervisor position. On the right side of the foyer is located the billing area. This billing area will augment the main billing department located at the new Weymouth headquarters. As you continue straight through the foyer entrance and through the service door, you'll find an open space capable of comfortably garaging twenty vehicles. There are also separate eight bays for the 911 ambulances. Garaged at this location are retail ambulances and City of Brockton ambulances. Continue walking through where the vehicles are garaged, to the left is a sitting area where the team can do work such as submitting their paperwork, checking in/out of the time clock and other administrative tasks. There is also a conference room with a kitchenette providing a place for the team to take breaks, have informal meetings with others or enjoy their lunch. Outside, behind the rear of the main building is the fleet maintenance shed which is dedicated to fleet inspection and maintenance. In the garaging area, to the right, will be quarters for the crews that contain a living area equipped with a sofa, TV, kitchenette and bathrooms with single occupancy quarters. Also to the right through the garaging area is the training and education space with its own bathroom and classroom. Back toward the front of the building in dispatch, there are a number of offices. We can provide space for information technology people on staff and there are also communications offices, the division supervisor's office, the owners have an office and operations manager has an office here. 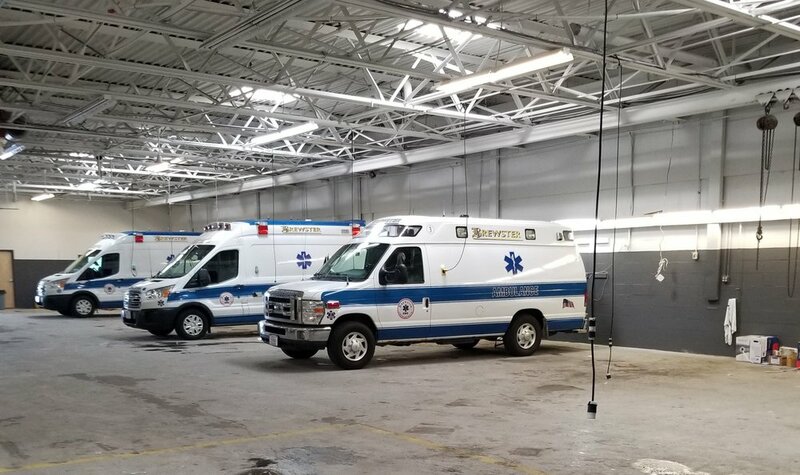 One EMD-certified dispatches for the Brockton area, one who dispatches the retail and 911 for Brockton in addition to the Good Samaritan Hospital and the Brockton area nursing homes serviced by Brewster. The other dispatcher is the wheelchair van, Atteboro, Taunton, Brockton, Middleboro, and another covers Rhode Island and Atteboro, Middleboro and Taunton. Every weekday at 6:00 PM, the Fall River Communications Center closes and the dispatcher covering Rhode Island and Atteboro, Middleboro and Taunton takes on Wareham, Fall River, and New Bedford. There is a lot of volume in this Communications Center and it's run by a great group of people with EMS experience from the truck. New EMDs pick it up quickly and can adapt to change because of past truck/field experience, and with the guidance of more seasoned EMDs on the team, achieve a faster track to success. There are different customer numbers for different dispatching. The business development team is great at handing out the Brockton customer service number for dispatch to the area nursing homes. Weymouth is the only Communications Center that takes 911 calls through the PSAP. Then they'll book it in our CAD system and then it routes to the proper dispatcher. There is also a remote dispatch center in Fall River that only does retail calls. For example if someone in Taunton calls 911, it routes to the Weymouth Communications Center where it is triaged, entered into the CAD system tagged "TAUNTON DIVISION 4" and then will appear on that Taunton dispatcher's board only. However, in Middleboro, we screen the calls and the Middleboro Fire Department dispatches the call. We'll call fire directly and tell them and they'll tone out the apparatus and the ambulance. All of the Brewster Ambulance Service dispatchers are very knowledgeable and are very well versed in the ETAs and contractual responsibilities with customers. We couldn't do anything without our field providers, and we receive constant compliments from our patients. In a way, the new Main Street location is a regional headquarters for Brewster Ambulance Service. In a community such as Brockton, Brewster Ambulance is continuously reaching out to provide safety and health awareness, CPR training in schools, and partner with the city on initiatives like the Champion Plan. This location is a continued message of how we're striving to uplift and take care of the Brockton community. We have strong ties here and are in it for the long haul. Mark Brewster, Brockton Mayor Bill Carpenter, George Brewster Sr. and George Brewster Jr. at the new Brockton Main Street location. This also helps solidify Brewster Ambulance as a powerhouse in the EMS community, who—as a company-wide practice—provides a team atmosphere, demonstrating how Brewster Ambulance is a caring company here to serve the City of Brockton's residents and visitors. 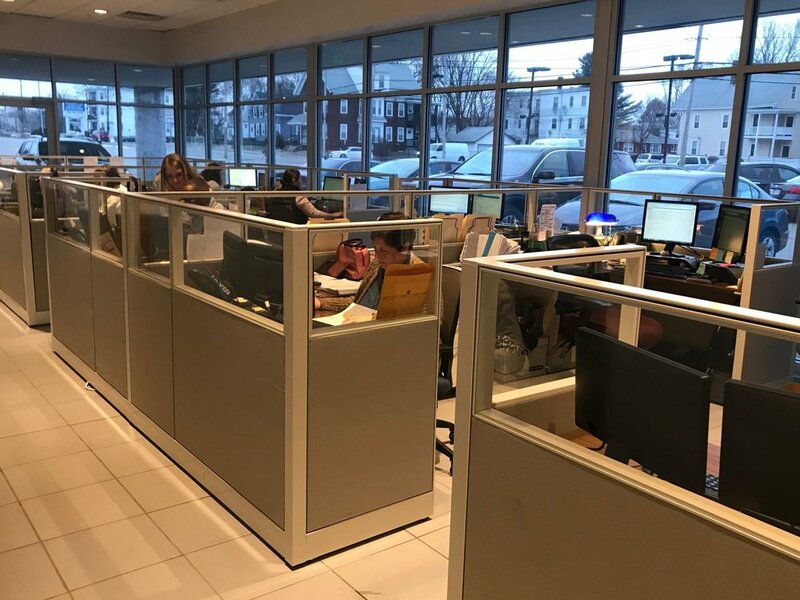 Brewster Ambulance fleet mechanics, business development team, billing personnel, human resources, and field crews drive dispatch and our work. We are successful largely due to the hard work of the TCOs and dispatchers along with a strong compliment to other departments.